February 8, 9 and 10. 2019. Teachers: Lcda. Michelle Binford and Lcda. Cristina Martínez. February 23, 24 and 25. 2019. Teachers: Lcda. Michelle Binford and Miriam Cardona. February 28. March 1th and 2th. 2019. March 1, 2 and 3. 2019. Teacher: Licd. Stella Viaud de Soundy. Teachers: Licd. Flor de Maria Palencia and Licd. Virginia Luviano. A SPECIAL 4-DAY BASICS WITH ASHA CLINTON, AIT’S FOUNDER AND LISSA RANKIN, MD, BEST-SELLING AUTHOR. April 8, 9, 10 and 11. 2019. Teachers: Asha Clinton, MSW, PhD and Lissa Rankin, MD. April 12, 13 and 14. 2019. April 26, 27 and 28. 2019. Teacher: Licd. Flor de Maria Palencia. 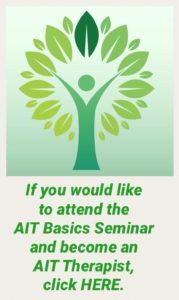 A special 2-day Basics with Asha Clinton, AIT’s founder in the 21st International Conference on Energy Psychology. May 6 and 7. 2019. May 31. June 1 and 2. 2019. June 21, 22 and 23. 2019. Teachers: PsyD. Francois Rey and PsyD. Michelle Shapiro. September 7, 14, 21 and 28. 2019. September 20, 21 and 22. 2019. November 15, 16 and 17. 2019.